Ladies, those murderous cramps aren’t the only thing that could be getting us down. From breakouts, to bloating to irregular cycles, we all have our share of period problems. If you face these issues month after month then we help make life a bit easier for you. We bring you expert advice to ensure that you look and feel much better during that time of the month than you ever thought possible. Our resident beauty guru and skin doctor to the stars, Dr. Rabia Malik answers all your nagging period beauty concerns. Pre-menstrual breakouts are hormonally driven and very common. The spike in testosterone levels before and during your period coupled with stress can lead to PMS pimples. Girls with oily skin are more prone to these breakouts but as long as you have a good skin care routine they will hopefully be minimal. Carefully remove all your makeup every night. Sleeping with your makeup on is a cardinal sin for your skin. Don’t touch your face, keep your hands off! Make sure to sleep on a clean pillowcase and use clean makeup brushes. Giving into those PMS cravings and binging on chocolates won’t help. A balanced diet rich in antioxidants will help give you clearer skin. If you are getting deep, painful, cystic type spots before your period every month, you may benefit from some blood tests (to look for any underlying hormonal imbalances) or from taking the contraceptive pill to help regulate your hormones. 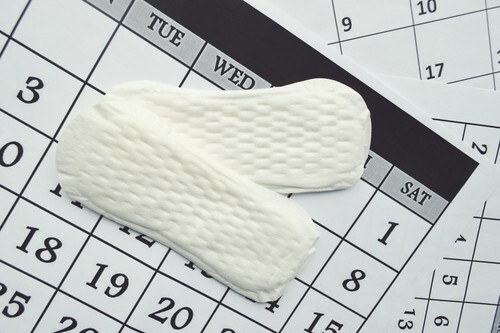 Irregular periods can be caused by a number of different factors, including diet/nutritional status, stress, excessive exercise, travel and sleep disturbances. Hormonal imbalances also cause irregular periods. An improved lifestyle can help regularize it. Catch up on 8 hours of shut-eye daily and cut down on those late nights. Seriously, it’ll do wonders for your all your health concerns. None of us are immune to the temptations of digging into a Mcdonald’s burger or a cheese pizza, but limit the junk food to once a week. An unhealthy diet is one of the biggest culprits for irregular periods. Keep fit. A super lazy lifestyle never helped anyone, so get exercising. But never to the point of overtiring and pushing yourself too hard, everyone deserves break days in between workouts. It's important to see your family doctor so they can help uncover the underlying cause. You may need some to have some routine blood tests as well. Plant sources such as avocados and nuts. Finally, ensure you have enough fiber and zinc in your diet -both of which help with hormone regulation. A multivitamin supplement may help correct any nutritional deficiencies, but see your doctor/nutritionist first for more specific guidance. Make sure you have good digestive health and regular bowel movements by eating plenty of fiber and drinking water. Bloating that is hormone related may be helped by generally eating well with lots of wholefoods. Cut down on tea, coffee and alcohol. Try switching to herbal teas to put less pressure on your liver. Reduce your sugar intake, particularly refined sugar, as too much can cause hormonal imbalances. Stop reheating foods in plastic as this can also disrupt the natural hormone balance. 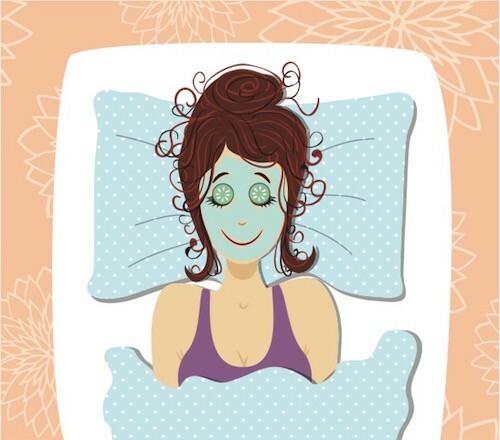 Load up on plenty of beauty sleep to try and prevent those PMS pimples. Drink lots of water and try to optimise your diet as above, in particular increase your intake of iron-rich foods. Stick to your C-T-M routine and don’t forget the sunblock! MUST-READ: Period 101: A Man’s Guide to THAT Time of The Month MUST-READ: Period Pain Cramping Your Style? What You Need To Know!